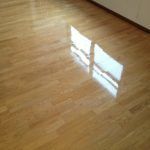 Without professional hardwood floor cleaning in the Philadelphia suburbs, hardwood floors become dull and dirty. Dirt gets embedded and may never come out. Until recently, the only way to clean hardwood floors was with a rotary machine that failed to deep scrub the wood and sometimes warped the wood causing permanent damage. 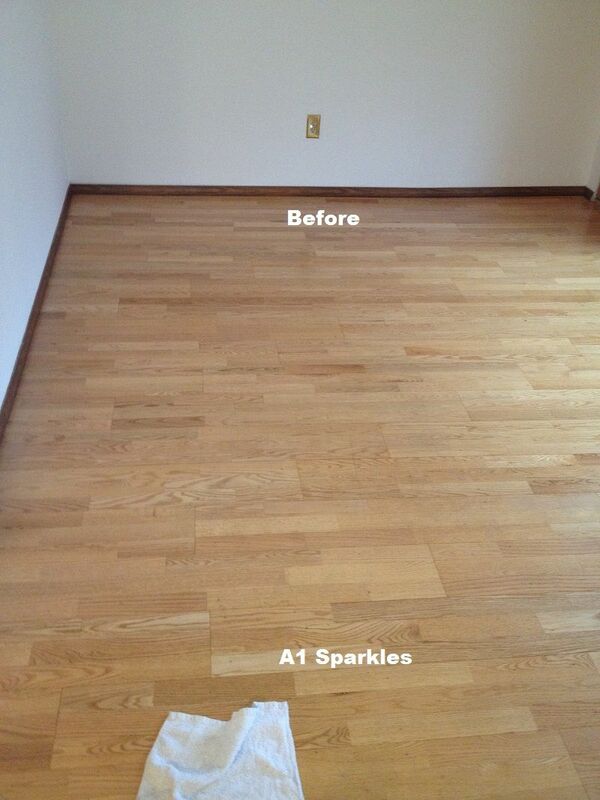 Call A1 Sparkles Professional Hardwood Floor Cleaning Today. 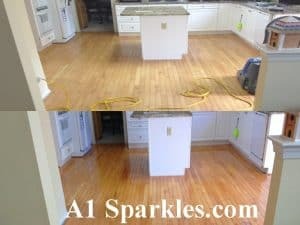 With our experience here at A1 Sparkles Cleaning you can have sparkling clean hardwood floors for less than $2.00 s/f. And in most cases, you can walk on it within a few hours. Hardwoods indeed can last forever if adequately maintained. SORRY, OUR HARDWOOD FLOOR CLEANING IS NOT AVAILABLE FOR LAMINATE FLOORS. Reach anything under the polyurethane finish. Eliminates germs, bacteria and most dirt build up. Even out sheen and brighter rooms. 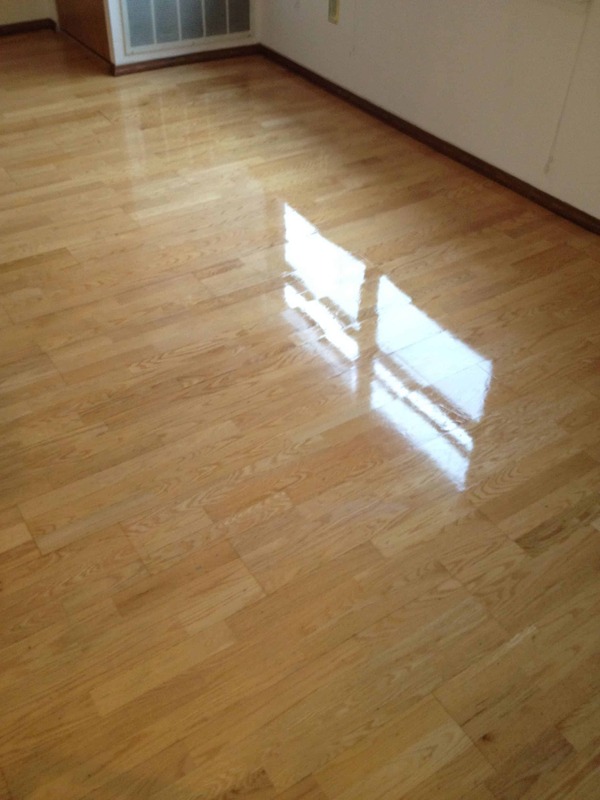 Sparkling clean and healthy hardwood floors. Intensive Floor Treatment to aggressively clean and extract dirt, grease, hair, dust, built-up residue and other contaminants from hardwood floors. Minimum $80 per area. Immediate traffic, furniture repositioning, and area rug relay. 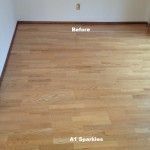 The easy way to revitalize your finished hardwood floor. Unmatched beauty and protecting at a low price. Adds a new coat of finish, this will protect your hardwood floors while giving them a satin sheen. 7. Apply 2 Coats Hardwood Floor Refinisher. Sock traffic and in 4 hours. 24 hours for normal traffic and furniture repositioning. Area rug relay in 2 weeks. 8. Apply 2 Coats of Heavy Duty Hardwood Floor Re-finisher. For commercial hardwood floor cleaning and refinishing rates, please call our Philadelphia suburbs cleaning services team today. 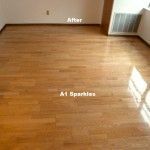 If you are interested in our hardwood floor cleaning services in the Philadelphia suburbs, then please call 610-292-9069 or complete our online request form.